FD CAM REDUCER is a zero-backlash precision reducer that is highly accurate, rigid and durable Mechanism. It's zero backlash characteristics are due to the unique preload mechanisms and it its high accuracy and high transmission efficiency eliminate performance variation problems due to abrasion while maintaining high performance on a long term basis. It also significantly enhances the performance of motion controls. It ensures a new dimension of high-precision motion control with a wide variety of applications such as automated machines, robots and power transmissions. This is a zero-backlash precision reducer that ensures accuracy, rigidness and durability in all its performance mechanism. It achieves its zero backlash characteristics because of the unique preload mechanisms, Further, while maintaining high performance on a long term basis, the high level of accuracy and high transmission efficiency ensures elimination of variation in the function due to abrasion. It finds wide application in automated machines, robots and power transmissions and ensures a new dimension of high-precision motion control so as to deliver highest level of satisfaction. By using Cam Reducer, we offer one of the superb motion control mechanisms. The cross-section of the FD CAM Reducer is wedge-shaped and this wedge completely eliminates any backlash up the space between two cam followers. 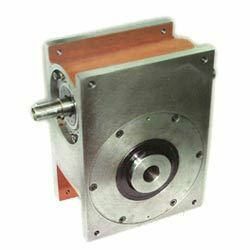 The mechanism has a very simple arrangement, hence of very high accuracy, durability and reliability. Looking for FD Cam Reducers ?